I have wanted to be a Purex Insider for several years. I'm very thankful that they had some openings and I was able to become an Insider. With my new Insider status, I was able to receive a package of Purex Ultra Packs with Oxi to sample. 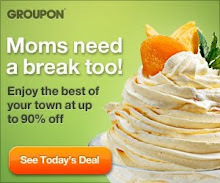 I also received coupons for free packages for my readers--so keep reading. Here's the package that came in my mail. I couldn't wait to try it out. And if you know how much I love putting off laundry, it was a funny thing for me to be racing around because I was excited to get to doing my laundry. These packets are the easiest to use. You just pull out one of the self contained ultra packs and toss it into the washer. You can use these packs with regular or HE machines. With an HE machine, do not add it into the detergent spot, put it into the washer drum with the clothes. Here are some results after my first few loads. I thought the Oxi helped make my colors brighter and my whites whiter. I will be interested to see if my clothes stay so bright over time. I'm hearing reports that these work great on sporting uniforms. I'll be trying it out on grass stains after the upcoming soccer tournament. I know I'll have lots of laundry to test and practice on. Check out www.Purex.com for more info. AND check out the sweepstakes that's going on right now! 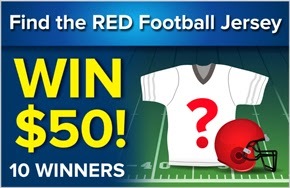 Just find the red football jersey hidden somewhere on Purex.com and WIN $50! 10 Winners! Hint: Just toss and go! And finally - the moment you've been waiting for...the giveaway. One lucky reader will receive two coupons, each one good for a free package of Purex Ultra Packs with Oxi. Remember with Giveaway Tools to change the setting at the top right corner to open all entries at once. It makes it a much faster and easier way to register to win. 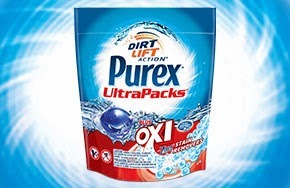 Disclosure: The Purex Brand provided me with a sample of Purex UltraPacks plus Oxi in exchange for a product review. However, all opinions expressed above are my own. I like the Purex Natural Elements in Linen & Lilies. I would love to try their Crystals! I'd love to try their free & clear products. I would like to get the purex crystals lavender. I have tried the Purex Crystals and really like them. I'd love to try their free and clear detergent. Thank you! I like Purex products and use quite a bit but I have never tried Zout. I think I would like to try that out. I would love to try Purex Fabric Softener Sheets. I absolutely love Purex Crystals for baby. I'm addicted to the scent!